Today’s recipe is something that I created from scratch and have to say I am very proud of. Not only is this pie gluten free and paleo, it is also Candida friendly! Yes, you heard right! I hope that when you taste this treat you will be pleasantly surprised that you can indulge and satisfy your sweet cravings while adhering strictly to the candida cleanse protocol. 1) It is considered an INVERT sugar – this means that is will not ferment in the stomach and intestines the way in which other sugars do. As a result the Candida cannot feed on it. 2) Another wonderful benefit of raw honey is that it contains anti-mircorbial and anti-fungal properties – these are both very beneficial when trying to eliminate Candida and other pathogens from your system. Here is what you will need to whip up this healthy but oh so delicious treat! 1) In a large bowl mix all of the ingredients together, with the exception of the coconut butter. 2) The mixing will be best achieved if you get a bit dirty and mix it together with your hands. 3) Once everything is combined together very well you are going to place the mixture in a pie dish and pat it down until it feels very firm. 4) The next step is to smooth the coconut butter over the entire top layer of the crust. 5) Once that is complete place in the fridge while you prepare the topping. 1) In a small pot you are going to heat the coconut oil on low to medium heat until melted. 2) You will then add in all of the berries and turn to low heat for about 10-15 minutes. 3) The goal is to cook the berries enough so that they become soft and are covered with a berry liquid. 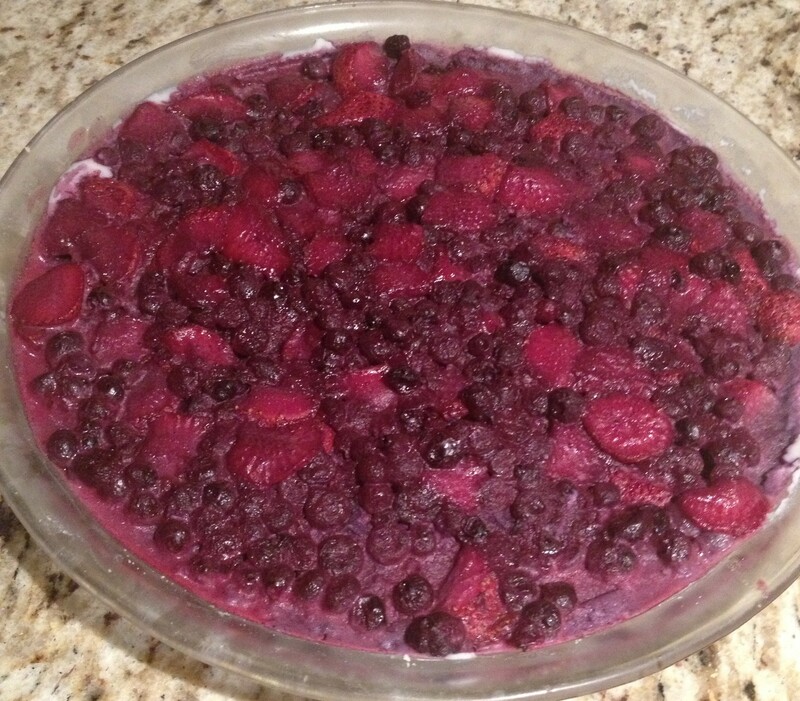 4) Once that is complete, you will take the pie crust out of the fridge and pour the berries with all of the liquid on top – it is important to spread the berries evenly so that the entire crust is covered. 5) The final step is to place the entire pie in the fridge for about 30 minutes to 1 hour so that everything can settle and harden. You might be surprised that the pieces stick together very well. Most importantly I hope that you find this as delicious as I did and that you enjoy!